93 years ago, on Friday, February 22, 1918, Don Pardo, one of television’s greatest and most famous announcers, was born in Westfield, Massachusetts. His name at birth, however, was Dominick George Pardo – George, because he was born on George Washington’s birthday. After graduating high school in Providence, Rhode Island Pardo set his sights on acting. While performing with some local theater groups in Providence a producer/director from WJAR radio invited him to join the “20th Century Players” on a weekly one-hour program. This led to a job offer from WJAR as a staff announcer; a job that paid $30/week. As you no doubt know, Pardo would move on to a job as a staff announcer with NBC in 1944 and spent a record 60 years and 6 months in the job. During those six decades he would become a “household voice.” First on NBC radio, then on television. And for most of us that meant game shows and SNL. 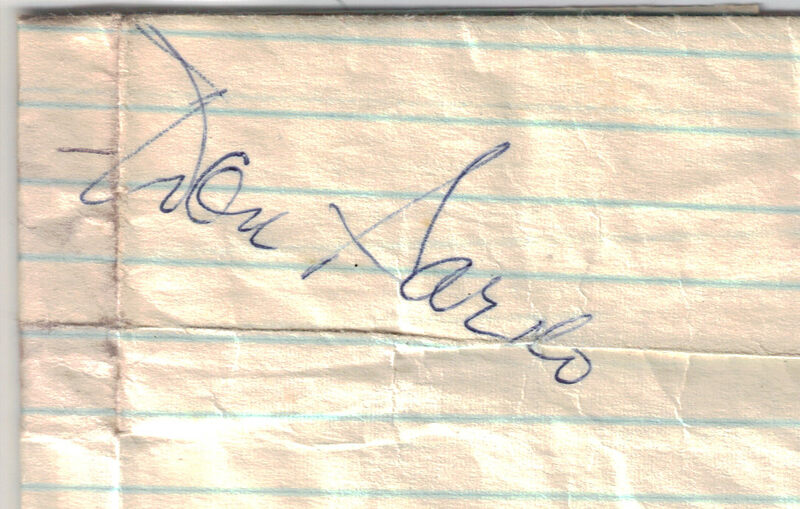 In the early 1970s, when Pardo was a fixture on NBC game shows produced in New York, I was a fixture in their audiences. I had a lot of free time – after all, I was 12 years old. But in addition to seeing TV shows, my friend and I liked to tour the building at 30 Rock – but not the official NBC tour or RCA Building tour… we took our own tours. It’s hard to believe in this era of high-security, but in the early 1970s there was no guard stationed by the NBC studio elevators in the RCA Building. Businessmen (and pre-teens) could walk into the elevators and go anywhere they wanted. So we did. Often. For several years. One time the security guard on the 7th floor, leading to the NBC commissary, yelled at us to “get outta here” or he’d “break our asses.” Another time, we peeked into an empty Studio 6B, or so we thought. There in the back of the audience seating was a group of 5 or 6 NBC Pages. We ran. They ran after us. It was quite the British farce now that I think about it. So what do these stories have to do with Don Pardo? It’s how I got the autograph seen below. “Say ‘this is Don Pardo.’ C’mon, say it. Say ‘this is Don Pardo.’ ‘This is Don Pardo.’” I wanted to strangle my friend and neighbor right there in front of Don Pardo. Surely to get rid of my annoying friend, Pardo acquiesced and said a quick, “This is Don Pardo” in a half-hearted way. (Let me now publicly apologize for my friend’s behavior on that day, so long ago). Now… do we really need to tell you about his association with “Saturday Night Live”? Don Pardo was the show’s first and practically ONLY announcer since its premiere in 1975. He was not a part of the show’s seventh season (1981–1982). I was also at the dress rehearsal when Pardo performed “I’m the Slime” on SNL with Frank Zappa. It was awesome to see and hear. You shoulda been there! Pardo retired from NBC in 2004 but continues to announce for SNL. For several years he flew in each week from his retirement home in Tucson, Arizona just to do the job. I’m told that this season he is recording the show’s introductions at home. After all – the man is turning 93 today!!! Don Pardo was inducted into the Rhode Island Radio Hall of Fame in 2009 and into The Academy of Television Arts & Sciences Hall of Fame in 2010. Both well-deserved. Happy Birthday Don Pardo. My ears love you.